Socrates the lover. Socrates the warrior. An innovative and insightful exploration of the passionate early life of Socrates and the influences that led him to become the first and greatest of philosophers. Socrates - the man whose logic and questioning gave birth to the ideas of Western thought, and whose execution heralded the end of the Athenian Golden Age. Despite his preeminence among the great thinkers of the past, precious little of his story is known, and what is often begins and ends with his trial and death. Until now, our conception of Socrates has relied upon Plato and Xenophon, men who met him when he was in his 50s and already an established figure in the world of Periclean Athens. What made Socrates the young man into Socrates the philosopher? What drove him to pursue with such persistence, at the cost of social acceptance and ultimately of life, a whole new way of thinking about the meaning of life? 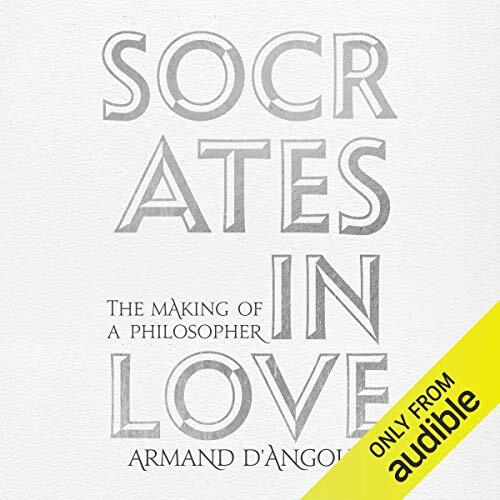 In this revisionist biography, Armand D’Angour draws on neglected sources to explore the passions and motivations of young Socrates, showing how love transformed him into the philosopher he became. Socrates in Love sheds new light on one of history’s most fascinating and original figures, reconstructing the formative journey of the thinker whose ideas have cast a spell on the human mind for 2,500 years.